AABSyS IT is a notable member of many business associations and organisations. They help AABSyS in networking with its contemporaries. 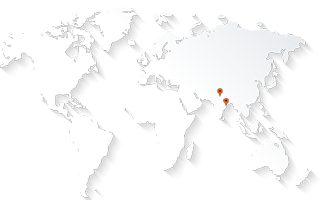 The Indus Entrepreneurs is a forum that was founded in 1992 in Silicon Valley by a group of entrepreneurs, corporate executives, and senior professionals with roots in the Indus region. The forum is dedicated to the virtuous cycle of wealth creation and giving back to the community, TIE focuses on generating and nurturing the next generation of entrepreneurs. The Odisha chapter was launched in 2010 and has a strength of more than 13,000 members, including over 2,500 charter members in 56 chapters across 13 countries. AABSyS is an entrepreneurial venture and this membership is a great medium to connect to similar established and promising members. NASSCOM or National Association of Software and Service Companies, is a premier trade body and the chamber of commerce for the IT software and services industry in India. NASSCOM was set up to facilitate business and trade in software and services and to encourage advancement of research in software technology. It is a not-for-profit organization, registered under the Societies Act, 1860. It is an international trade body with around 900 members, of which nearly 150 are international companies from around the world. The member companies work in the field of software development, software services, and IT-enabled/BPO services. Indo- American Chamber of Commerce (IACC) is a non-government, industry led and industry-managed organization, playing a proactive role in India’s development process and serves as a much needed link between the business communities of India and the United States of America. IACC is the only bilateral Chamber of Commerce in India, which is committed to development of Indo-US business and trade relations. IACC has over 2,300 members who together represent a wide spectrum of business and economic segments: manufacturing, exports, services et al. IACC member companies are involved in a cross-section of business domains such as manufacturing, engineering, construction, consumer goods, electronics, IT, pharmaceuticals, consulting, travel and tourism, etc. The membership to the Indo-American Chamber of Commerce is a vital for staying connected to the happenings of Indo-US business and trade. It is tough to become a member of the group as there are many benefits that can be reaped from the membership. STPI is the software exporters’ window to the world. It is an autonomous organization set up by the Ministry of Communications & Information Technology, Department of Information Technology, Government of India in 1991 with the objective of encouraging, promoting and boosting the Software Exports from India. The organisation creates an environment conducive to improvement of infrastructure facilities for export of software and IT services. The union is a major Data Communications service provider with facility to provide global point-to-point connectivity and Internet services. Confederation of Information Technology Enterprises (CITE), Odisha is an amalgamation of IT companies to create and sustain an environment conducive to the IT development in Odisha. It also aims to encourage and promote IT entrepreneurship in the State. The process of formation begun in the year 2006, when like-minded individuals and groups on IT sector came together to form a forum for the growth of the information technology in Odisha and to work as liaison organization between members, Industries, agencies and Government. CITE works with IT Department Odisha, Dept. of MSME, NASSCOM, ESC & STPI on matters related to industry Facilitation. AABSyS is an active member of CITE. Utkal Chambers of Commerce was established in December, 1963 in the backdrop of industrial growth of Orissa, soon after the setup of IDC and other state corporations. It was conceived with the limited objective of protecting and promoting the business interest of a few industries and trading houses of that time. In the 50 years of its existence, its reach has broadened to empowering and enriching the cause of industrial and commercial enterprises of the state through participation with the Government and other association, in formulating and taking care of the interests of the industries as well as the state. AABSyS IT has registered with Dun & Bradstreet, (D&B) the largest commercial database provider of business establishments. As part of this exercise, AABSyS has received the DUNS business number,considered to be the most widely accepted global standard for authenticating businesses. D&B's Data Universal Numbering System; the DUNS® Number is a business identification system used by businesses, banks and governments to learn about business organizations. It helps organizations establish credibility with lenders, enables easier businesses with governments and foreign entities. DUNS is considered a global standard for authenticating businesses for online and off-line transactions, which would act as a catalyst for AABSyS in their efforts to establish new global partnerships.